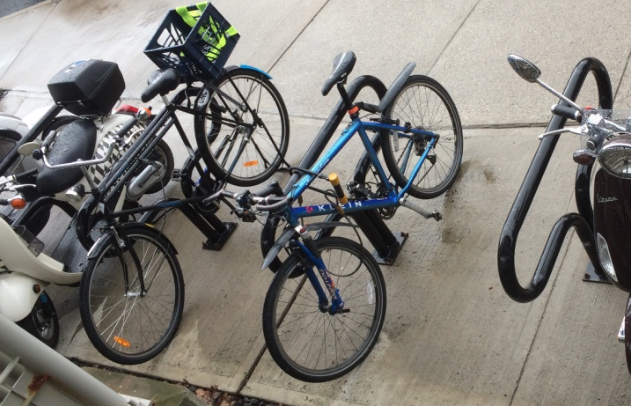 A bicycle valued at $850 was stolen late Wednesday afternoon at Darien Railroad Station, despite being locked to the bike rack on the north (West Avenue) side of the station, Darien police said. The owner told police the bicycle was left at the station at about 8:25 a.m., Wednesday, March 13. Surveillance video records showed a male approach the bike at about 4:15 p.m. that day, manipulate the lock and then ride away on the bicycle. Police provided no description of the thief, the bicycle or the lock (which was not found at the scene). The victim called police at 1:23 a.m., Thursday. “The bike was entered into the online law enforcement system as stolen,” the police announcement said. The Darien Police Department is warning residents about a phone scam that is targeting our area. The scam involves the caller posing as a representative of Eversource CT. — an announcement from Darien Police Department The caller instructs the victim to download an app onto a computer or cell phone and wire money, otherwise their electricity will be turned off within 30 minutes.